We have a talented team that specialises in creating innovative mobile communication solutions that utilise Quick Response Code technology to instantly connect businesses and consumers anywhere. Our services extend far beyond developing great mobile products - we can even run your mobile initiative for you! and increase sales. Digital content can be modified, launched instantly and accessed by any web connected mobile or tablet, anywhere, anytime. Advanced analytics identifies mobile user engagement and generates a unique coupon code for each device. The one touch telephone number display enables mobile users to tap and call instantly. The inconvenient 'find us on Facebook challenge' is eliminated with a one touch link to your Facebook page. Use mobile QR to 'turbo charge' your Facebook initiative. One touch web links enable mobile users to tap and visit instantly. Sequential bar coding links individual customers with POS data bases to facilitate loyalty and membership programs. The data collection function enables you to launch pop up windows with your own customised messages to collect customer data such as mobile numbers and email addresses. Our powerful analytics platform provides you with the tools to accurately measure user engagement in real time. Each time a mobile user scans your Quick Response code our system records the time, date, device type, browser type and it can even map the GPS location! GALA Technologies can create, launch and manage your mobile interactive initiative for you. We have a talented and dedicated team who deliver and exceptional service. 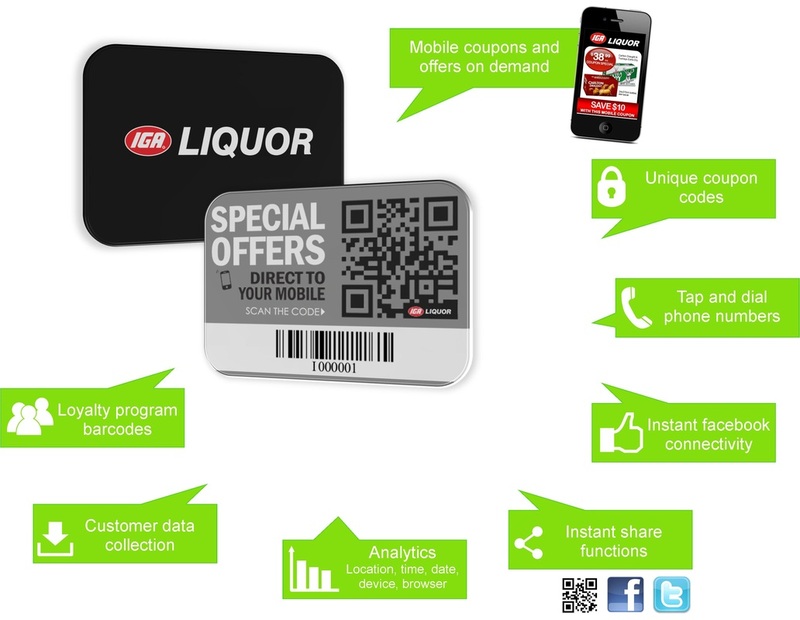 Add a new dimension to your current loyalty card program with instant mobile interactive technology.